No matter how hard you try to keep them in one place, house and car keys have a way of disappearing when you need them the most. 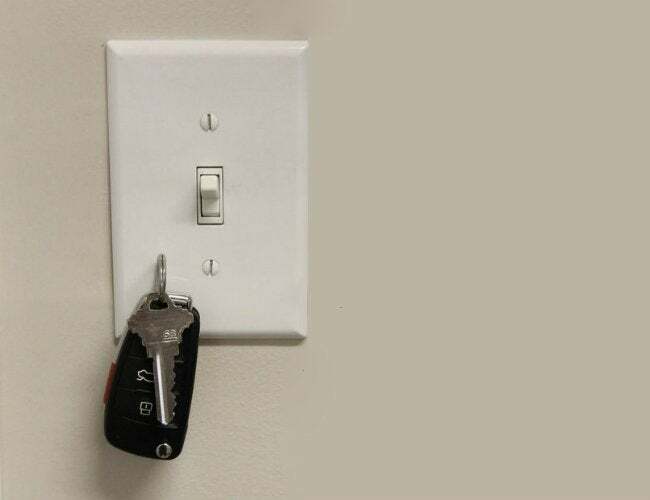 Stop the search by making your light switch double as a magnetic key holder! Tired of the frenzied search for your keys before leaving for work? You’re not the only one. According to the Wall Street Journal, the average person misplaces up to nine items each day, and keys top the list of what we misplace the most. Fortunately, thanks to this at-the-door organizer on Instructables, you can now stop losing these tiny essentials. The simple trick comes from avid DIYer instructablesar, whose problem wasn’t that he misplaced his keys, but rather that his initial wall-mounted key rack was so over-utilized that he was tired of having to battle his wife for a peg. To avoid starting World War III, he devised a cheap and clever solution to keep peace on the home front: a magnetized switch plate that will hold a key or key ring until you grab it on your way out the door. Now that’s convenient. Make this useful amenity your own in just a few easy steps! All you’ll need for this DIY is a strong neodymium magnet (available online or at your local hardware store). To give it enough bulk to fit securely in place, first nest the magnet in an appropriately sized rubber cap or wrap it in duct tape. 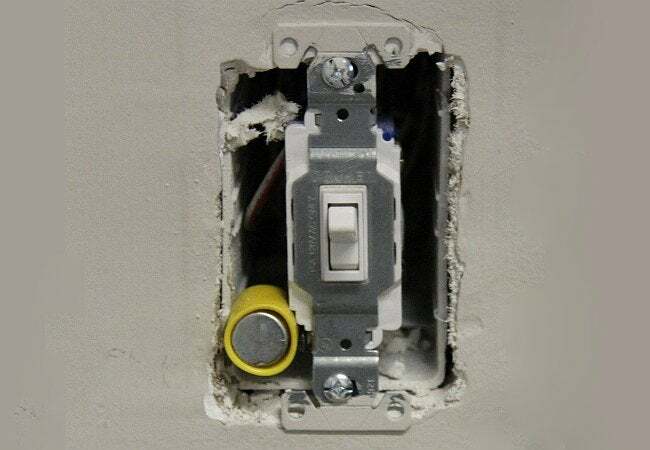 Then, put the magnet just behind the switch plate, wedged in a bottom corner of the electrical box between the switch and the inside of the box. Reattach the plate, and you’re done. Just remember: As with all electrical DIYs, be sure to cut power to the light switch before reaching for the screwdriver. Just think of all the time you’ll save in the morning by not having to turn over couch cushions and ransack your nightstand to track down your keys! Who knows—you might even have enough time to pull together a continental breakfast and enjoy a cup of coffee before leaving for the office.